The First Lady Of Waikoloa Website! Born and raised on the Big Island of Hawai`i, Mabel ("Meipala") Torres Ishii died at the age of 66 on September 6, 2003 in an auto accident on the Hamakua Coast. Affectionately known as Meipala (Hawaiian name for Mabel) or more commonly as "Aunty Mabel," she was later referred to as "First Lady of Waikoloa." Her spirit of aloha was later described as "legendary." 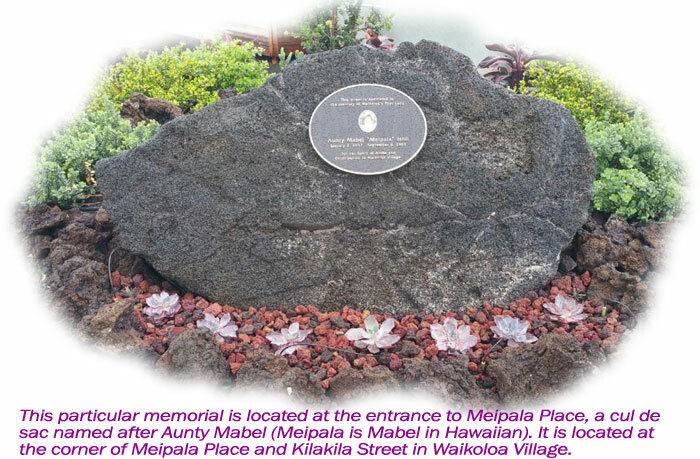 Aunty worked for the Waikoloa Village Association (WVA) for 17 years. Management of the Association had just been transferred to the Board of Directors. She was a local girl who had graduated from Hilo High School, served in the Women Army Corp (WAC). Prior to her career at WVA she worked for the Hawaiian Holiday Macadamia Nut Company in Honoka`a (Haina) for twenty-two years. When she started at the Village, she was on her own. There were nine members on the Board and they had just been handed the Association. They didn't know if it had enough money to survive. But everyone pulled together; and as they say, the rest is history. There was a lot to get done during those early years. Being the only person in the office, she handled all the calls and inquiries from residents, businesses, visitors, and others. As a "one gal office" she did a lot by mail; and records weren't kept in the Village and there were no computers. It was hard work with many hours spent at the office commuting between Pa`auilo, where she lived, and Waikoloa--an 80 mile round trip. At times it was disruptive even to her personal life. Often after long hours at the office she would drive to care for her parents in Pepe`ekeo (an additional 68 miles round trip beyond her home). However, Aunty's aloha was always in the forefront of reaching out to help others. It was her way. By 1999, the had Village had grown to over 2,300 units. And that was just in the Association. A person wrote after her death "There weren't too many problems she could not take care of or answer, as her knowledge reached far beyond Waikoloa! When I first moved there in 1997, she became the source to all my questions!" 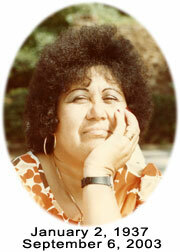 Another wrote, "I met Aunty Mabel early in 1986, just after she started working for the Waikoloa Village Association. From the get go we became fast friends. She exemplified the 'Aloha spirit'…"
To those who met her for the first time, her unexpected calling card was a gracious warm greeting of "Aloha! ", often followed by an unforgettable Aunty Mabel-kine hug! To malihini who settled in the Village, she often was a welcomed resource. To those who felt isolated or alone in a new land, she helped them assimilate. To those who felt they wouldn't "fit in," she taught them local customs and explained local words and phrases. 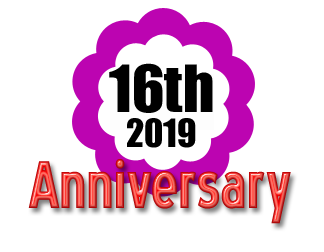 For those who found themselves wrapped up in redtape, she would help them navigate the system, point them in the right direction, or pick up the phone and make helpful calls. Not that it was her job, but that's who she was. She was so proud of Waikoloa Village. Even in hard times, her love of the Community never wavered. Her mission was clear. She made residents, visitors--and even strangers--feel welcome and comfortable... as if they were ohana (family). Regardless of circumstances, she was "there," helping others. IF YOU HAVE A STORY OR COMMENT ABOUT AUTNY'S LIFE, WON'T YOU SHARE IT WITH US?